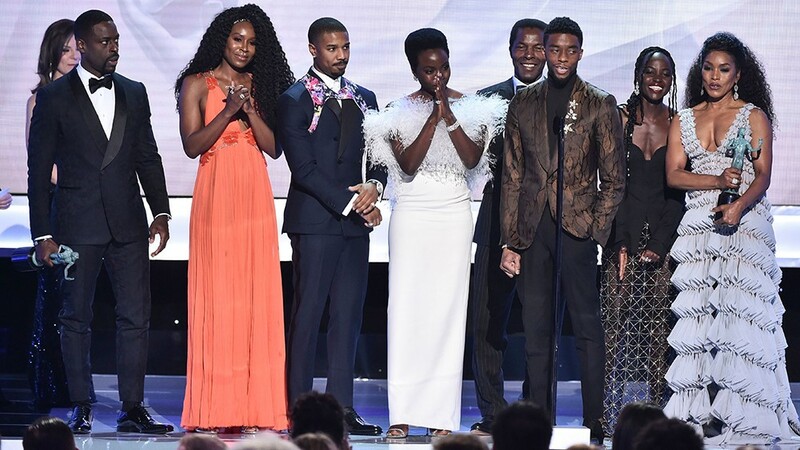 “Black Panther” took the top award for best performance by a cast in a motion picture at the 2019 Screen Actors Guild Awards on Sunday night. With TV, “This Is Us” nabbed the ensemble awards for drama, while “The Marvelous Mrs. Maisel” won the comedy prize. The 25th Screen Actors Guild Awards honored the best film and television performances of the year. Emily Blunt, "Mary Poppins Returns"
Margot Robbie, "Mary Queen of Scots"
Hugh Grant, "A Very English Scandal"
Penelope Cruz, "Assassination of Gianni Versace"
Joseph Fiennes, "The Handmaid's Tale"
John Krasinski, "Tom Clancy's Jack Ryan"
Robin Wright, "House of Cards"
Alan Arkin, "The Kominsky Method"
Michael Douglas, "The Kominsky Method"
Alex Borstein, "The Marvelous Mrs. Maisel"
Jane Fonda, "Grace and Frankie"
Should Black Women Still Justify The Wrong Doings of Black Men?